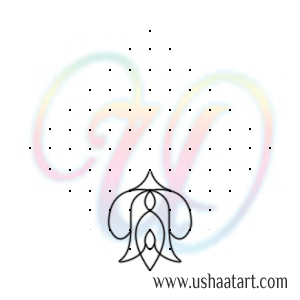 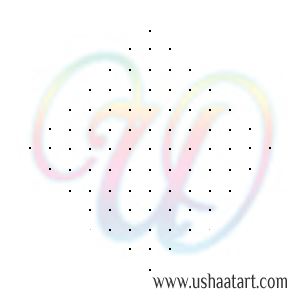 Put 13 dots, then put dots by leaving 1 dot at both ends, stop at 1 dot. 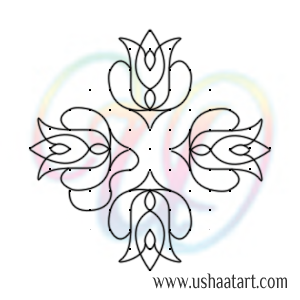 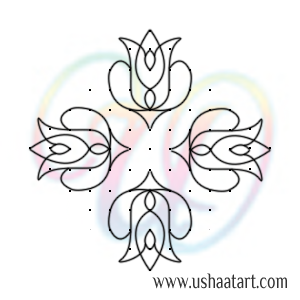 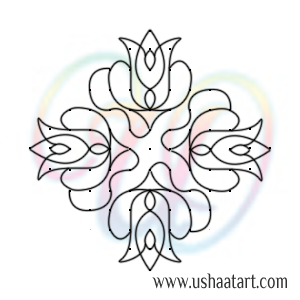 Draw kolam in simple 2 steps. 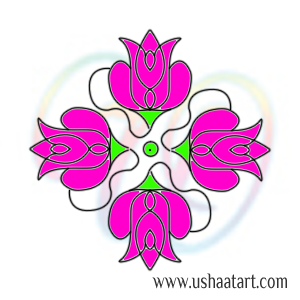 Similarly draw flowers at four sides.